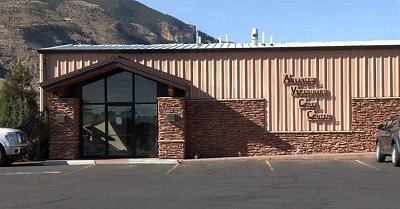 Advanced Veterinary Care Center welcomes you! Welcome to Advanced Veterinary Care Center. Dr. Justina Pahl and Dr. Erin Pedersen have owned Advanced Veterinary Care Center since April 29th, 2016. They also own Heart Mountain Animal Health in Powell, WY. The doctors have enjoyed good working relationships with each other through the years and are excited to continue working together to care for your pets. We are a full service animal hospital providing comprehensive healthcare services to pets in Cody and the surrounding areas. Our veterinarians offer a wide variety of medical, surgical and dental services in our veterinary clinic. We provide complete care for our patients. At Advanced Veterinary Care Center we are committed to providing quality care at every stage of your pet's life. From routine preventive care for your pets to early detection and treatment of a wide range of conditions and diseases and surgical care, we have the expertise to provide the care your pet needs at every stage of life. Hills Science Diet has issued a recall for a select few of it's canned products for dogs. We have confirmed that we do not have any of the affected products in stock. The products were voluntarily recalled when it was discovered an unacceptable level of Vitamin D. Symptoms of Vitamin D toxicity in dogs include gastro-intestinal disturbances manifested by vomiting, anorexia and diarrhea. Excessive drinking and consequently frequent excessive urination may also be present. Other signs of Vitamin D Toxicity are bleeding, limping, and abnormal heart rhythms. Go to our link to Pet Food Recalls to find the products that are in question and the lot numbers associated with each. The lot numbers are printed on the bottom of the can. If you have any of the affected Prescription products, you may return these to us for credit. If your pet has consumed any of the affected products and is not showing any symptoms of Vitamin D toxicity, then you do not need to worry. After hours calls placed to our clinic number 307-527-6828 are picked up by the answering machine. If this is an emergency you will be directed to call our emergency phone number which will connect you to our doctor on call for the evening. The answering machine will not pick up calls placed to our unlisted phone numbers. Messages left on the answering machine will be answered during our regular business hours. Please browse our website to learn more about our animal clinic and the veterinary services we provide for companion animals in Cody and the surrounding areas. Read information in our Pet Library, view videos, take a virtual tour of our veterinary hospital, read testimonials, and find details about upcoming events. Please call our office today at (307)527-6828 for all your pet health care needs or click here to contact us or to set up an appointment.